Intelligent call recording is now available to all! Historically call recording was only accessible by large organisations who could afford expensive on site stand alone solutions, requiring integration and separate hardware to house. 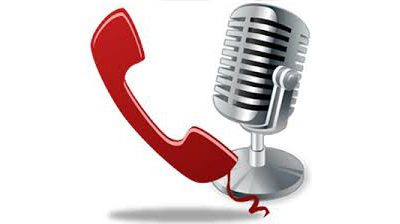 Not anymore, Avalle4business call recording now provides highly affordable, flexible call recording available to all. No hardware on site and no ongoing storage considerations. Being able to listen to calls with new starters can dramatically reduce training time in getting staff up to speed on the job. Having the ability to analyse how effective your employees are in handling customer and prospective customer calls is invaluable. Being able to listen, comment, share and improve dialogue between your staff and your customers helps you maximise each opportunity and accelerate customer loyalty in an ever growing competitive marketplace. Recording calls can dramatically assist in resolving customer queries. By having the ability to remove ambiguity immediately by showing what was actually agreed and said on a call, saves time, improves relationships and aids training which all work towards customer retention. Juggling multiple tasks can be make it difficult to recall what was said on a call. Being able to playback and listen to long conversations ensures you don’t miss what was discussed and also how it was discussed. Even the most effective note taking on a call will not capture the mode and emphasis placed on the certain elements, however by listening back you can objectively hear what and how things were said and plan accordingly. Avalle4Business provides easy access to call recordings through the web administration portal which is accessible from any internet enabled device. You can search by date, time and person and listen or download and share.